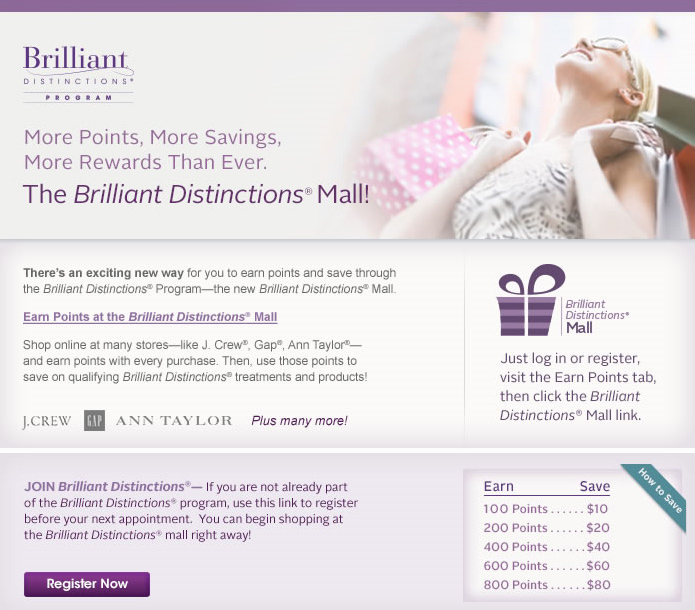 Vita is proud to be a designated Brilliant Distinctions® provider! Then you can redeem your points for big savings on those same services and products. Or, make a difference in someone else’s life by donating your points to Dress for Success® or the Make-A-Wish Foundation®.